A selection of the finest hotels in Melaka. Melaka is just 45 minutes away from the Kuala Lumpur International Airport. All hotels are located in walking distance of the historical sites, shopping districts, museum, night spots and famous attractions. 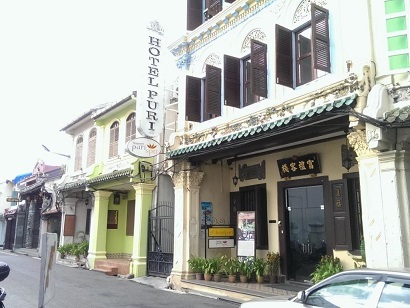 Originally built in 1882, this historic Peranakan house has been lovingly renovated and is now one of the most popular hotels in the Melaka area. Hotel Puri Melaka houses elegant and sophisticated rooms and is located on the famous Hang Jebat Street, renowned for its beautiful antiques and great restaurants. Each room is spacious and comfortable, and they ensure all necessary amenities needed for a comfortable stay. The hotel is beautifully decorated and features a Helonica Garden Caf� which is perfect for sipping afternoon tea. The main restaurant, Galeri, serves fine international and local dishes as well as imported wine. Hotel Puri Melaka features a spa center for a great way to relax and pamper yourself after a long day. Ramada Plaza Melaka provides an accommodation of 294 spacious guestrooms with remarkable views where guests can find the old-world charm with modern luxuries and attentive services for business and leisure. Ramada Plaza Melaka offers rooms equipped with high-speed broadband Internet, an in-room safe, and comfortable bedding. Free Wi-Fi is accessible in the lobby at any time. After a busy day, guests can relax by the swimming pool or enjoy the well-equipped fitness center. Immerse yourself in the moment during the evening cocktail on the exclusive Club Lounge with business partners or family, and enjoy the precious beauty and serenity of a gorgeous sunset from the top floor. 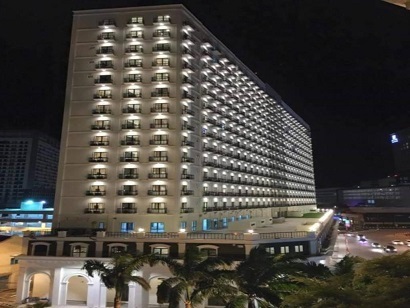 The hotel also provides diverse dining options in the hotel and indulge your preferred cuisines in the award-winning Zest Restaurant, Long Feng Chinese Restaurant, and Olio Italian Restaurant. 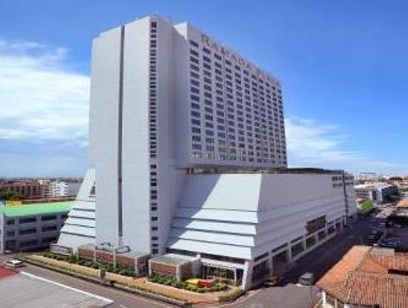 Ramada Plaza Melaka is an ideal place for business and leisure. Situated along Melaka's lively waterfront, Holiday Inn Melaka offers spacious rooms with stunning sea or city views and flat-screen TVs. It features buffet breakfasts, an infinity pool and a spa. 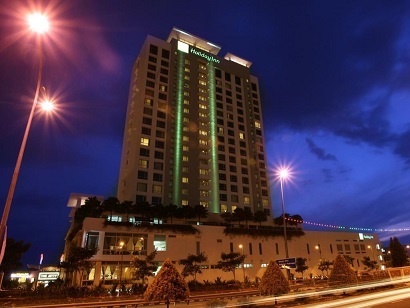 Located next to Mahkota Parade Shopping Mall, Melaka Holiday Inn provides free shuttle services to nearby attractions. It is a 3-hour drive from Singapore and a 2-hour drive from Kuala Lumpur. Decorated with Malaysian-style fabrics, air-conditioned rooms offer the comfort of classic furnishings and ample workspace. They come with a safe and a private bathroom with a bathtub. Guests can exercise in the fitness centre, or relax in the sauna. 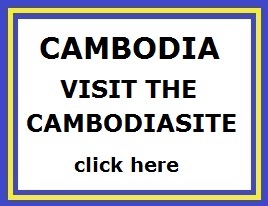 Tour and business services are provided. Wood-fired pizzas are served at Sirocco Italian Restaurant, while hearty buffet spreads with international dishes are offered at es.sence Kitchen. Herron's Kopi Counter and Sirocco Bar are ideal for light snacks. Conveniently located right in the heart of the city, this business class hotel is surrounded by UNESCO-listed sites as well as major shopping centers and businesses. 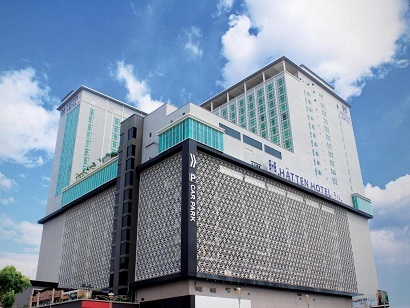 Hatten Hotel Melaka is sited above Hatten Square and is linked to Dataran Pahlawan. The numerous attractions it is near include Jonker Street, A�Famosa, Stadthuys, Flor de la Mar Maritime Museum, and Baba & Nyonya Heritage Museum. Where contemporary design meets comfort, Hatten Hotel Melaka�s spacious guestrooms offer breathtaking views of the vibrant city. Guests can also relax by the outdoor pool and bar or grab a bite at Chatterz, the hotel�s lively 24-hour restaurant that serves both local and international cuisines. Whatever the reason for your stay, Hatten Hotel Melaka will make your stay a good one. 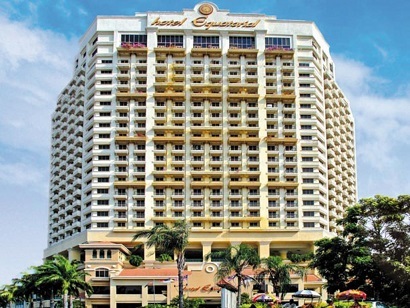 Imperial Heritage Hotel Melaka, located in Malacca City Center, Malacca, is a popular choice for travelers. Only 120 km away, this 4-star hotel can be easily accessed from the airport. With its convenient location, the hotel offers easy access to the city's must-see destinations. At Imperial Heritage Hotel Melaka, the excellent service and superior facilities make for an unforgettable stay. Top features of the hotel include free Wi-Fi in all rooms, 24-hour security, wheelchair accessible, 24-hour front desk, luggage storage. Nestled in the heart of Melaka Raya, Novotel Melaka is an ideal place from which to discover Melaka. This 4-star property is only 145 kilometers away from the airport, as well as offering a convenient location from which to enjoy the city's top attractions and must-see destinations. First-rate hotel services and facilities await each guest of Novotel Melaka, including on-site features like a 24-hour security, free Wi-Fi in all rooms, daily housekeeping, wheelchair access, and a 24-hour front desk. Step into one of the many inviting rooms and escape the stresses of the day with a wide range of amenities such as air conditioning, wake-up service, a desk, a mini bar, and even soundproofing which can be found in some rooms. The hotel offers fantastic facilities including a fitness center and an outdoor pool, perfect for those who'd like to unwind after an action-packed day in the city. 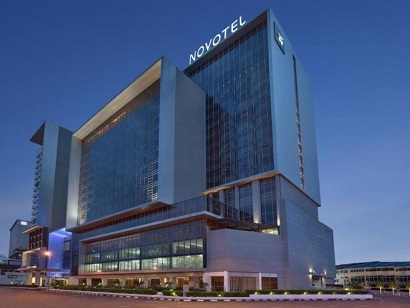 Novotel Melaka is an ideal place of stay for travelers seeking charm, comfort and convenience in this city.